Locality: United States, Colorado, Eagle, Eagle River junction at west base of Shrine Pass road, near Redcliff. 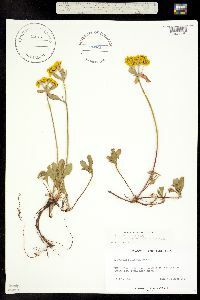 Notes: Eriogonum umbellatum Torrey var. aureum (Gand.) Reveal, det. James L. Reveal, 1971. 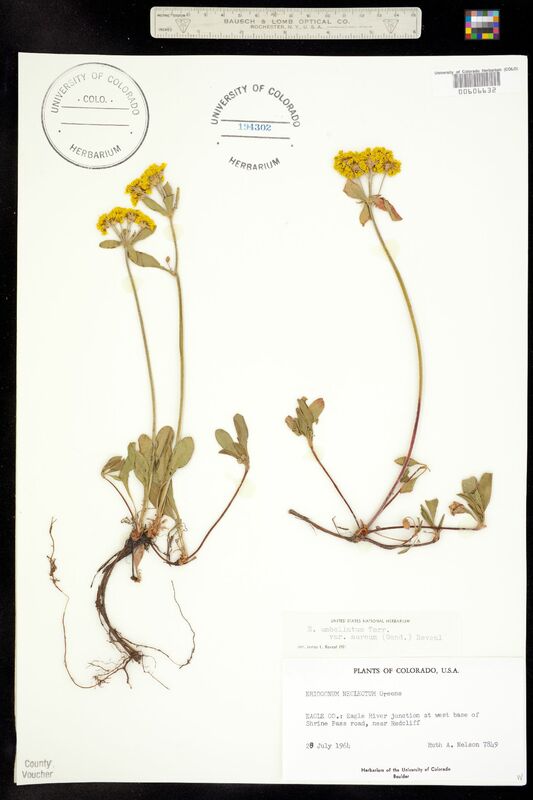 Original ID: Eriogonum neglectum.